It used to be that parents had the authority to act on behalf of their underage kids. Now they can be second-guessed by judges who might have other opinions about the child's best interests. Parents can legally eavesdrop on young children if they reasonably believe it would be in the child's best interest, the state's highest court ruled Tuesday, establishing an exception to New York law against wiretaps without the consent of at least one person on a call. So I guess a New Yorker can eavesdrop on a 5-year-old who is being threatened with a beating. In any other case, I have no idea. 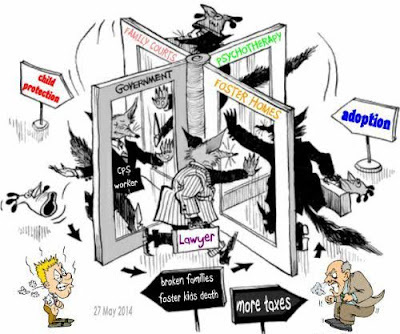 I think that it is crazy that a father has to make a legalistic best-interests analysis to record his 5-year-old son in a potentially dangerous situation. But that is the society we now live in, and the dad only won by a 4-3 vote in a NY appeals court. Whenever I hear or read stories about Child Protective Services (CPS), they are always either about harassing good parents, or causing some kid to suffer or die. Despite high-profile child abuse and neglect cases, including many in the Bay Area, authorities have been slow to make substantive changes to the often underfunded and under staffed agencies, experts said. In the horrific case of Shaun, 6, Delylah, 3, and their 9-year-old half sister, 135 pages of Monterey CPS documents obtained by the Contra Costa Times, and the state’s highly critical review of the case, found that social workers called repeatedly to the home in 2015 violated five state regulations and ignored best practices intended to keep children safe. 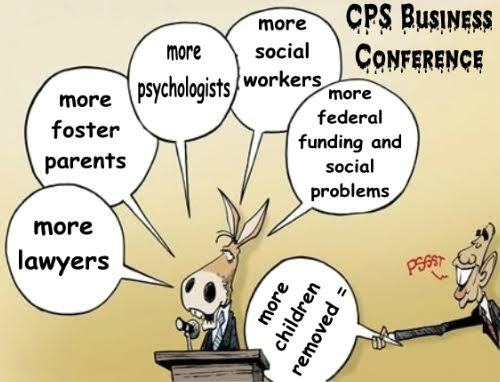 CPS will probably say that it could do a better job with more money. I don't believe it. A CPS social worker told me that they routinely investigate parents over and over again, even if no problems are ever found. She said that it is not unusual to investigate a parent 10 times, without finding anything. At the same time, they have kids in foster care dying of malnutrition, and no one bothers to check that a kid has a normal weight. 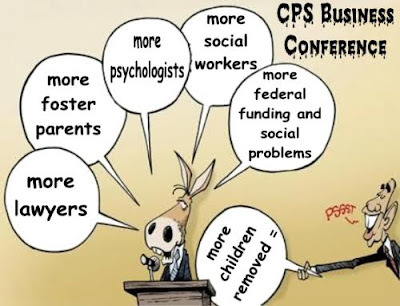 I don't know whether these CPS workers are incompetent or evil or what, but we would all be better off if the agency were shut down.